Earlier in the year we saw Nokia's first Android handsets running a custom version of that operating system called Nokia X. The new Nokia X2 takes this formula and improves on it in both hardware and software terms. The Nokia X2 is the first handset to bear the Nokia name since Nokia transferred its handset business to Microsoft, so it is kind of ironic that it runs Android rather than Windows. And confusingly it isn't the first phone to be called the "Nokia X2" either, as there were a range of devices with that name released from 2010 onwards. This particular X2 has solidly lower-midrange specifications but at a bargain price, with a 4.3" 480 x 800 pixel ClearBlack display, a 1.2GHz dual-core CPU, 1GB of RAM, 4GB of internal storage plus a microSD slot, a 5 megapixel primary camera with flash plus a 0.3 megapixel front-facing one all running the latest revision of the Nokia X platform with integration into OneDrive, Skype, Outlook.com and Yammer (the social network from Microsoft you've never heard of) plus Nokia's HERE Maps and MixRadio, with improved multitasking plus a load of other services that you wouldn't see on a normal Android phone. The X2 also supports two SIM cards, comes with a 1800 mAh battery and weighs 150 grams. 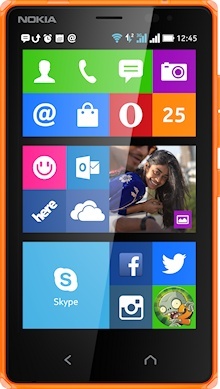 The Nokia X2 supports WiFi and HSPA+ data but not LTE, plus GPS and GLONASS positioning systems and Bluetooth 4.0. In other words, this is a fully-featured smartphone unlike the cheaper range of "Asha" devices. All of this is priced at just €99 before tax and subsidies which is something of a bargain, although you can't compare it directly with a standard Android smartphone because this is more of a Microsoft device than a Google one. However, it is attractively priced and the brightly coloured polycarbonate design is attractive to look at too. 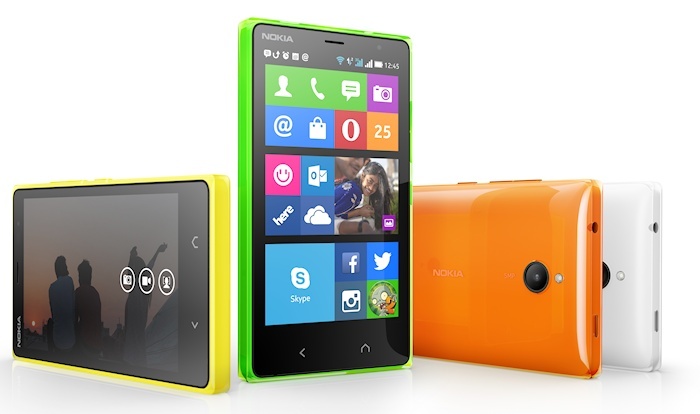 Nokia (or should we say Microsoft) say that the X2 should be available immediately in a wide variety of colours.